• Call of Juarez: The Cartel: Pre-orders include an exclusive to Future Shop in-game Mini Machine Gun. Releases July 19. • Fear 3: Launches on June 19 and includes a limited Steelbook case, exclusive to Future Shop. 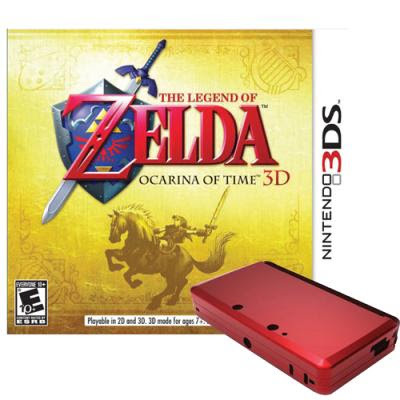 • The Legend of Zelda: Ocarina of Time 3D: Releasing June 19, the first customers purchasing this Nintendo 3DS title in-store receives a free 3DS case (a $10 value). • Shadows of the Damned: Available late June, online-only pre-order customers will receive a Shadows of the Damned soundtrack DLC. • Driver: San Francisco: Expected to launch late August, pre-order customers are rewarded with free Downloadable Content (DLC) to receive an in-game car: the Aston Martin DB5. • Gears of War 3: Launching in September, pre-order customers of any Gears of War 3 edition (Standard, Limited or Epic), receive a limited-edition Curb Stomp First Aid Kit, a metal tin kit exclusive to Future Shop, complete with branded bandages inside. • NHL 12: The excitement returns to the ice in September and rewards pre-order customers with the Downloadable Content (DLC) of Goalie Boost, allowing players to ‘Be a Pro’ and earn EA SPORTS Hockey League goalie elite statuses. I don't know about you, but I have always wanted to apply a Gears of War bandage. Not that I expect to get hurt mind you.